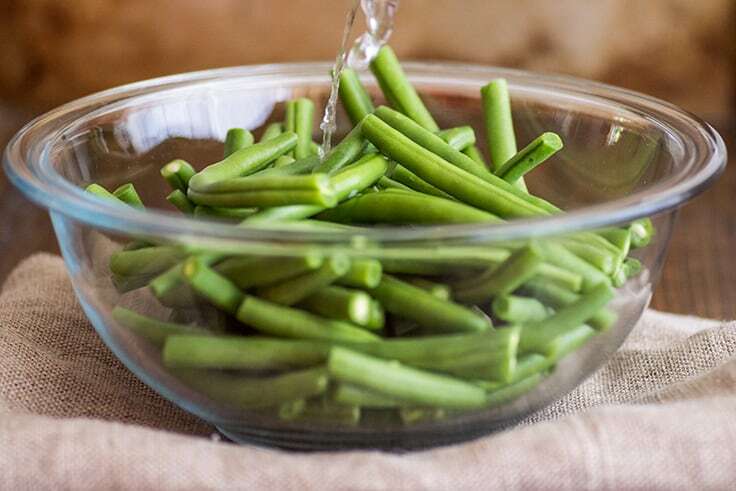 How to Steam Green Beans in the Microwave for a quick, simple, and delicious weeknight side dish. Hey, need something green for your plate and don’t feel like getting out a pot or pan? 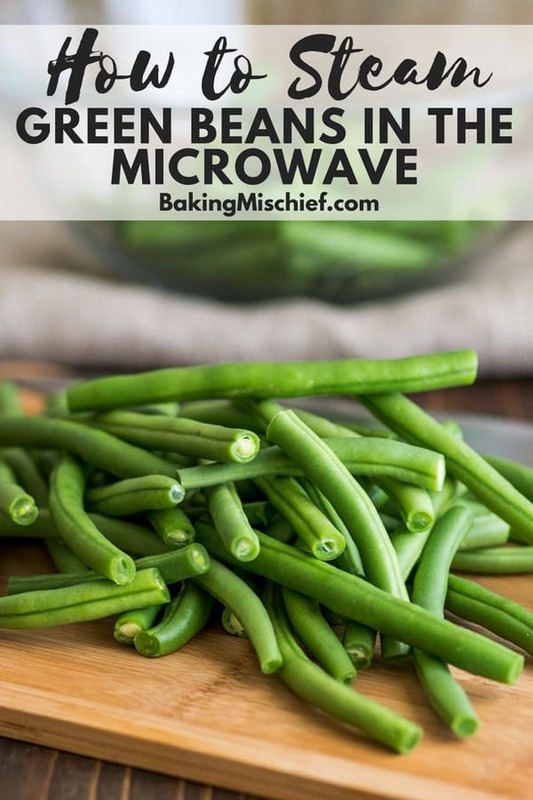 How about making some green beans in the microwave tonight? I’ve shared a couple of these vegetables in the microwave posts on the site over the last year (Broccoli in the Microwave and Cauliflower in the Microwave), and they’ve been pretty popular. 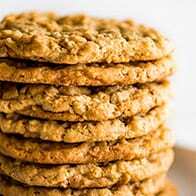 I think a lot of us are looking for the quickest and easiest ways to add more vegetables to our diets, and the best vegetable side is the vegetable side that you will actually make. With a veggie side this simple, there’s no reason not to. 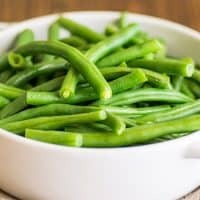 Steaming green beans in the microwave instead of on the stove gives you the same beautiful, delicious, bright green green beans, tender, with just a little crisp bite left, but no steamer basket required. 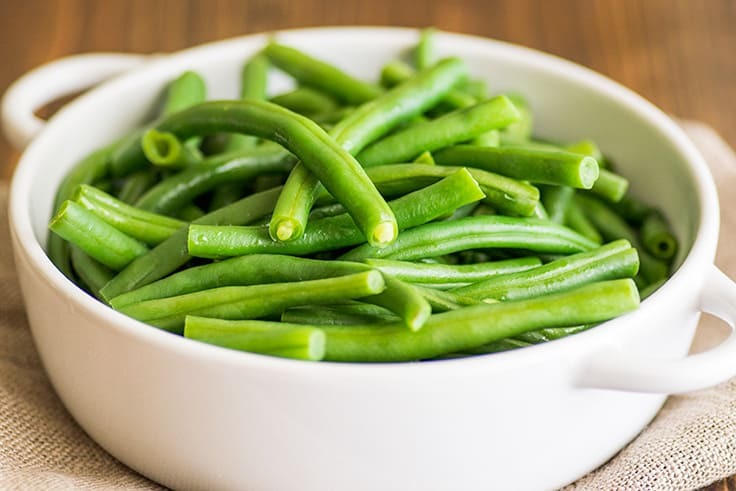 Once steamed, you can toss with butter and salt or a little fried garlic like in my No-fail Butter and Garlic Green Beans and serve with something equally delicious and easy like Tri-tip in the Oven, Country-style Pork Ribs, or Salsa Chicken. 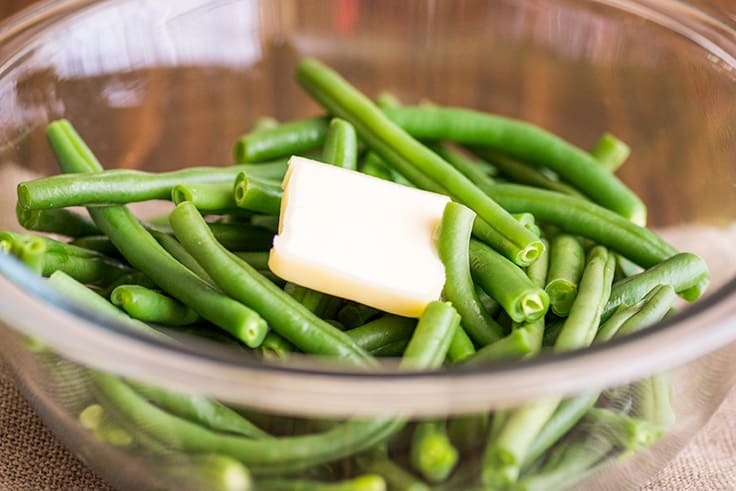 Place washed and trimmed green beans in a microwave-safe bowl. Add just enough water to cover the bottom of the bowl, 2 to 3 tablespoons. Cover bowl with a plate and microwave for 4 to 6 minutes, until green beans are tender. 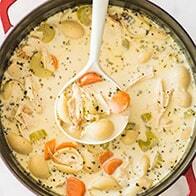 Carefully remove plate (the steam will be hot), drain liquid and add a tab of butter to the bowl. Toss to coat and sprinkle with salt and pepper. 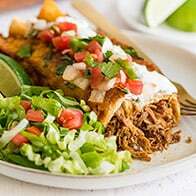 Serve with something simple and easy, and enjoy! Looking for more easy vegetable sides? Try this Oven-roasted Broccoli, Green Beans with Bacon, and Oven-roasted Butternut Squash. 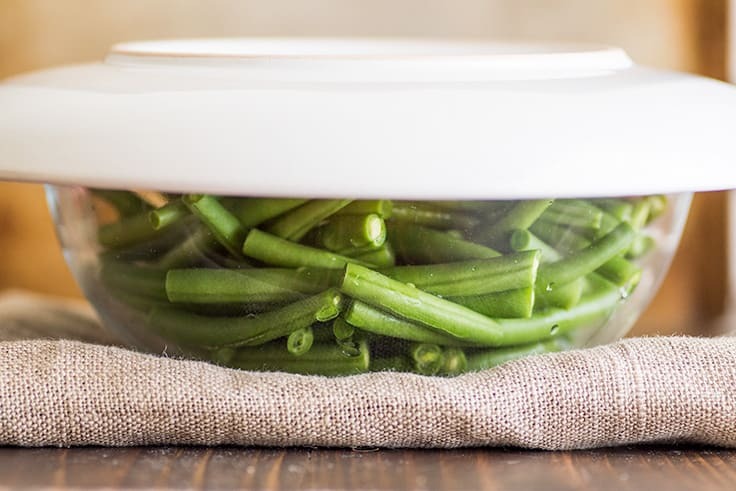 Cover the bowl with a microwave-safe plate and microwave for 4 to 6 minutes, until green beans are just tender. Carefully remove plate (the steam will be hot), drain any remaining liquid, and add about a tablespoon of butter to the bowl. Toss to coat and sprinkle with salt and pepper to taste. 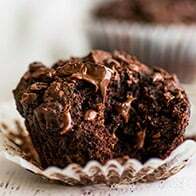 Great recipe and so fast! This really saved me! Yay! 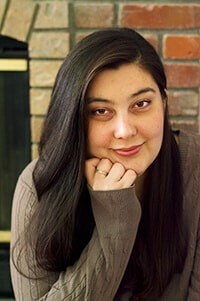 So glad it worked out for you!